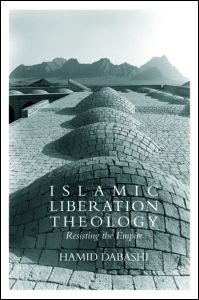 This is an ambitious and frusturating book which tries to chart a course for an "Islamic liberation theology" just as Gustavo Gutteriez and James Cone did for Christianity. Dabashi argues that the ideological division of "Islam and the West" no longer has any meaning for contemporary Islamic praxis. In fact this binary division has produced an Islamic politics of opposition to Western modernity, forcing Islamic ideologues and ideology into anti-democratic stances and revolutionary excesses which mirror or even at times outdo the worst totalitarian impulses of Western thought. I found Dabashi's narrative interventions provocative, especially his exegesis of the life and work of Malcolm X (see his chapter "Malcolm X as a Muslim Revolutionary"), placing him into dialectical interplay with religious currents within Shi'a Islam. He also helpfully draws on Gutierrez's notion of a "historical pilgrimage" of religion in an effort to re-historicize Islamic heritage. So why is it useless to speculate on a mode of resistance that is already emerging?! I interpreted Dabashi's ambivalence and slippery language, as evidence of his desire that a transnational movement for Islamically based justice and liberation to emerge. (Malcolm X is very important in Dabashi's formulation of this and Dabashi's comparison between Malcolm X and Sayd Qutb is intriguing) But Dabashi cannot theorize about this supposedly emerging global movement because its actual existence as a historical trend is much more a matter of personal perspective than Dabashi cares to admit. The world may be global and Islam may be a global religion, but there are thousands of "imagined communities" within the global umma, and the ties which bind Muslims together are not necessarily any stronger than those which tie nations or cultures together. Furthermore, don't the bin Laden's and other globally wanted "jihadists" (whom Dabashi rejects as reactionaries) view themselves as instituting precisely the kind of transnational movement he claims Muslims need (minus that skepticism of meta-narratives bit)? Dabashi dreams of a global justice movement which will simultaneously resist global capitalism, Western modernity, and Islamist totalitarianism. But isn't this a bit much to ask of any one movement? The tension the reader observes in Dabashi's stance is symptomatic of the gap between a "skepticism of ideological meta-narratives" and the will to power necessary to carry out any project of justice and reform in the real world. Dabashi like many intellectuals is skeptical of that will to power, seeing in it the seeds of the demise of both revolution and reform-minded projects. Yet without it, the impulse for Dabashi's "new geography of liberation" remain words on a page.